Conor McGregor is not your average fighter. 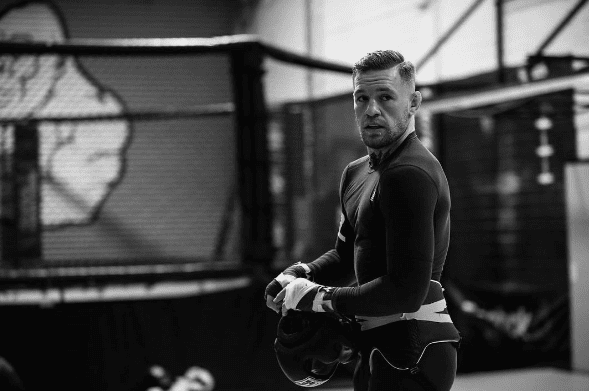 The 29-year-old Irishman has changed the face of Mixed Martial Arts ever since he burst onto the world scene with the UFC in 2012. Back then, it was clear to many that there was a special quality to the Dublin-native which exceeded his fighting capabilities. The young McGregor finished Marcus Brimmage in one round in his promotional debut, exclaiming “Dana, 50 G’s baby!” in the immediate aftermath of his victory. McGregor was right, he picked u a $50,000 Fight of the Night bonus and turned a few heads in the process. What followed next was a meteoric rise (slightly halted by a lengthy absence with injury following a victory over Max Holloway) which drew significant attention to the flashy, trash talking Irishman and the UFC in general. The manner of McGregor’s confidence, coupled with his propensity to make bold claims which were almost always backed up, added significant momentum to a hype train which was gathering pace at an unprecedented pace. At UFC 194, McGregor ended a ten-year unbeaten run by smashing the seemingly impenetrable aura of the 145-pound champ, Jose Aldo. McGregor was now a superstar and arguably the biggest name in combat sports. By the following year, the Irishman had cemented his name in MMA history by beating lightweight kingpin Eddie Alvarez in convincing fashion to become the first fighter to hold two titles in two weight classes simultaneously. Having seemingly conquered all before him in the UFC, McGregor turned his attention to a ridiculous bout with boxing legend Floyd Mayweather – it could never happen…but it did. There is no doubt that the promotion needs McGregor more than ever, but the question is: will we see “The Notorious” back inside the octagon? If WME-IMG are remotely smart, they would have added some form of contractual stipulation in a deal with McGregor when allowing him to pursue the bout with Mayweather. In short, we may see the return of the 29-year-old as soon as December this year. The UFC will be hoping, at least, that is the case. There will always be a home for the 29-year-old at the UFC. While it is expected that McGregor will fulfill the remaining fights of his contract, many are questioning if he will have the hunger to carry on as before following the receipt of what will surely be the greatest pay check of his career. As for the bout with Mayweather, McGregor is rumored to be bagging somewhere in the region of a whopping $75,000,000 as a result of the fight, win or lose. Considering the worst case scenario for McGregor is a knockout/stoppage loss at the hands of Mayweather, the Dubliner would be compensated handsomely for it. The Irishman’s record in boxing would be 0-1, with no effect on his MMA record. McGregor would be applauded for stepping into the ring without any pro experience against arguably the greatest boxer of all time. He will undoubtedly exit the ring with an even greater reputation than before, no doubt. When taking this into the equation, McGregor will be a winner come August 26.